Two men working on a house on Chestnut Street this weekend were robbed by a man pretending to be a police officer, New Orleans Police said. The subject then flashed a badge, described as a silver star with a pelican on it, at the victims and began questioning about their employer and where they were from. He then asked if they had any marijuana or cocaine in their possession. The wanted subject then called both victims to their work truck and began patting them down and frisking them. The subject then went into their pockets and removed their wallets. The subject then instructed the victims to move their truck, alleging it was parked to close to the corner. The wanted subject assisted the victims with backing up and turning the vehicle around. He then told the victims that he would follow behind them in his vehicle. The man then drove away with their cash in a silver Nissan Sentra bearing a Louisiana license plate, and showing damage on its rear passenger-side door, the report concludes. 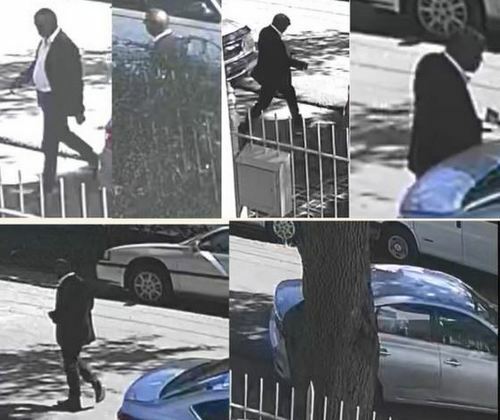 Anyone with information is urged to call the NOPD Second District station at 658-6020 to speak to a detective, or CrimeStoppers at 822-1111 to leave an anonymous tip that could be eligible for a cash reward.